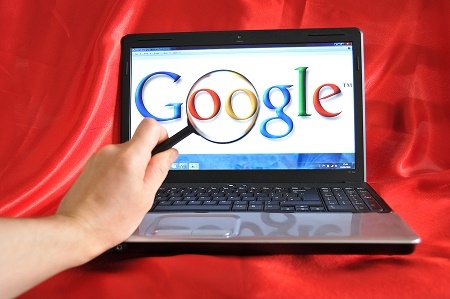 Many of us search on Google every day for research and/or fun. There are certain embedded features in Google that can make your search more specific and help return more items that are of interest to you. With the ability to use more specific search parameters, the answer you seek is more likely to be on the first page of the results rather than on a later page. This list is in no particular order. Hopefully, you find these features and tips useful and productive. Use quotes to search for specific words or phrases in a specific order. If you put the words subprime collateralized debt obligations into the Google search box without quotes, you are likely to have results that contain one or more of those words, but not all of those words in that specific order. However, if you enclosed the phrase in quotes to be “subprime collateralized debt obligations”, you would then receive results that contained only those words in that specific order. This is an important tip to use in combination with other tips that follow. Use a minus sign to exclude a word or words from your search. If you search for the phrase, loan pool, you may receive results that refer to swimming pools. However, you can eliminate any results that contain the word swimming in them by typing loan pools -swimming in the Google search box. To use the minus sign, it is important that there is a space before the minus sign for this feature to work properly. If you want to eliminate more than one word, use another minus sign and the word to be excluded. Continuing the earlier example, if you wanted to eliminate both swimming and mortgage from the results, type loan pools -swimming -mortgage. Use an asterisk (*) as a wildcard. If you don’t know a specific word in a phrase, place the phrase in quotes and use an asterisk (*) as a wildcard for Google to find. As an example, you remember that under the old capital lease rules, a certain percentage of the estimated useful life made the lease a capital lease. In the Google search box, type “* percent of the estimated useful life”. Your answer should be in one of the results. Use “OR” for multiple search criteria. If you want information regarding multiple criteria, the OR feature may be used. As an example, type CPA credential OR cgma in the Google search box. You receive information regarding both credentials as well as information that compares both credentials. The capitalization of OR is important for this feature to work. Use “..” to search for a range of numbers. The best example is if your search is limited to specific years. Assume that you wanted to see the AICPA Code of Professional Conduct that was in effect in the years 2011 through 2013. In the Google search box, type AICPA Code of Professional Conduct..2011 2013. Once again, for a more specific search, AICPA Code of Professional Conduct may be enclosed in quotes. Use Google to do the math. Simply type in a simple or complex equation in the search box and an answer appears. Google applies the correct order of operations to the result. Remember that the order of operations is parentheses, exponentiation, multiplication, division, arithmetic and subtraction (PEMDAS) So, if you type 9+5*6-3 in the Google search box, the correct order of operations is applied and the answer is 36. Use define. You can define any word in Google. Simply type the word define in front of the word. You may want a good definition of the word workpaper. Type define in front of the word in the Google search box. Without define in front of it, the results are not confined to a definition. Convert money. Type the denomination that you have and the denomination in that you wish to convert to in the Google search box. If you type $100 in Euros in the search box, the Euro equivalent of $100 results. Use Related: to find a related web site. If you like the contents of a web site and want to know if there are other similar web sites, use the Related: command. For example, I like the Wall Street Journal web site, wsj.com. To find other similar web sites, I would type Related:wsj.com in the Google search box. The results are a list of web sites similar to wsj.com. 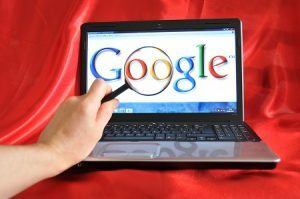 If you found this blog interesting, check out our new CPE course, Optimizing Search Results with Google.